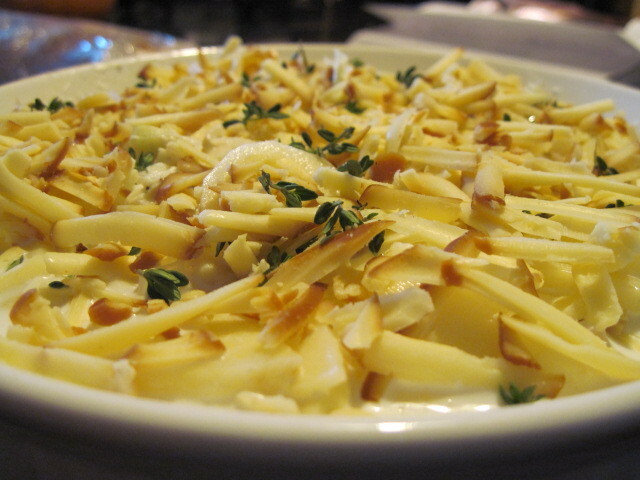 Potatoes soaked in cream, topped with tons of cheese and baked until golden and crusty on top? Heck yeah! You had me at potatoes! This recipe can be found on page 360 of “Around My French Table” by Dorie Greenspan and I urge you all to try it as soon as you can! 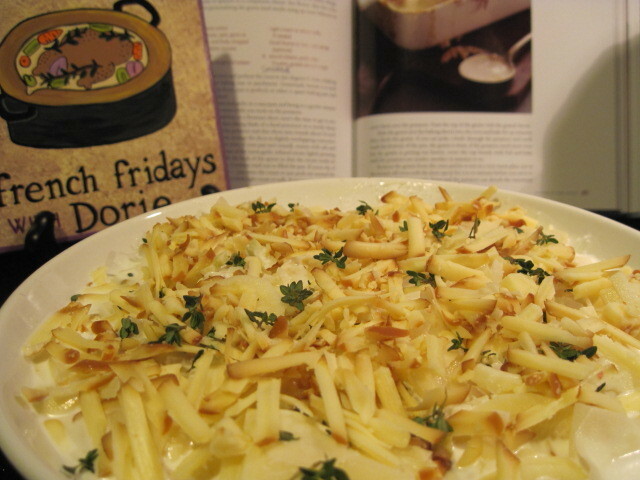 It calls for just a few simple ingredients like sliced Idaho potatoes (my handy dandy food processor did all the work), heavy cream, garlic and Gruyére cheese (I used smoked Gruyére). Rosemary and thyme sprigs are optional but I used thyme in order to combine some of the same flavors I used that day to make the roast chicken for les paresseux and I also added some of the minced shallots I had left over as well. Bake for 45 – 50 minutes in a 350 degree oven until this baby is brown and bubbly. I wish I could say that we all had been schussing the French Alps when we came together as a family to eat that evening (in my dreams) but this delicious dish and meal I was able to bring to our family dinner table brought me there in my mind. How lovely to visit France right in the comfort of my own kitchen. Someday I hope to visit France in person, but until I do this is the next best thing!!! Can’t wait for next month’s round of recipes from this wonderful cookbook. Stay tuned and visit France with me again, won’t you? I’ll save you a seat at our family table! Love your post! I too was transported to France with this dish. Vi look forward to traveling with you each week! What a fun adventure!! Oh yes Im with you about visiting France, that would be so fun! I love the way you chose to slice your potatoes. My family loved this one too. I made the cake this week and it was great! Ah. What time is dinner? It looks like it came out lovely. Beautiful! Love your minced shallot idea. 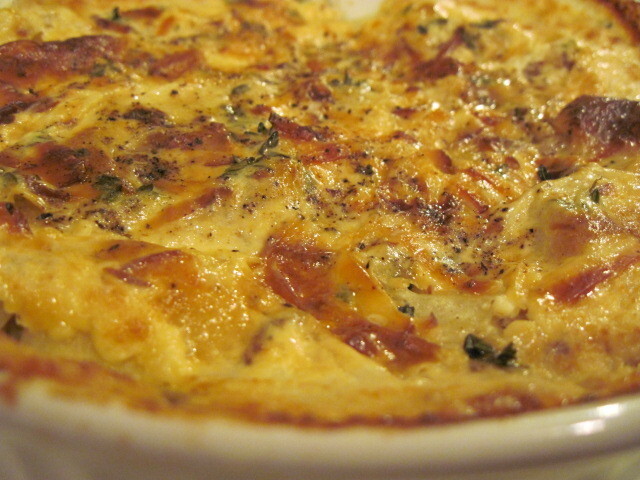 Delicious looking gratin. We really liked this recipe…I'm making it again this week. You keep creating these wonderful dishes and there won't be any extra seats at your family dinner table. What a wonderful looking dish!